Anyway, DD enjoyed making bread and the recipe is very easy. The bread was good, but I think we baked it a little too long. I’d like it a bit softer. 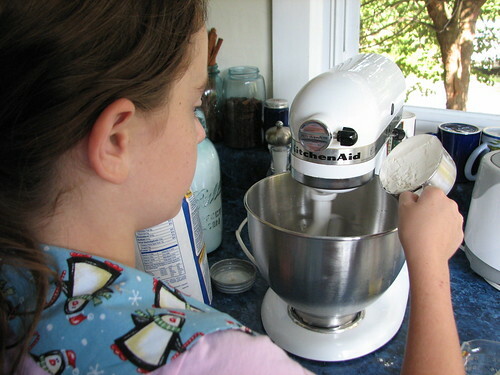 After mixing the dough, we kneaded it. 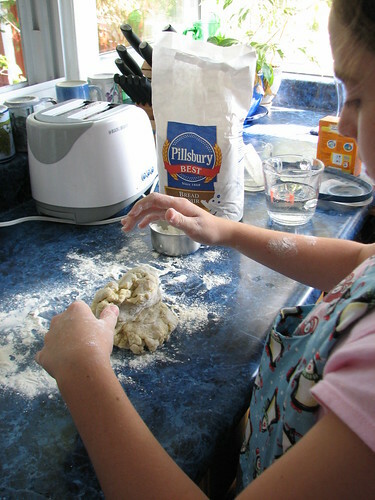 I did most of this, as the dough was very stiff and it was difficult for DD to knead by herself. 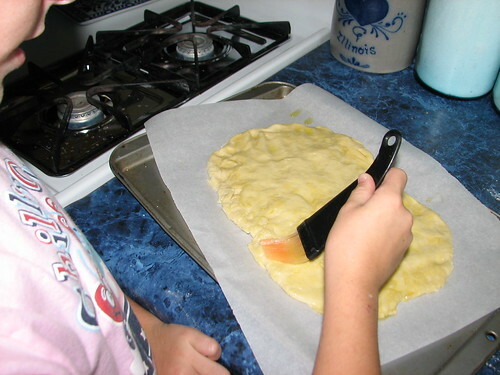 After the bread rose and was punched down, we stretched it into a rectangular shape and placed it on a piece of parchment paper on a cookie sheet. DD brushed olive oil over the top and I sprinkled freshly grated sea salt over the oil. It smelled good while baking! To serve, I cut it into serving size pieces with a pizza cutter, lifted the parchment and dropped the whole thing, paper and all, into a bread basket. It was very good with our supper of spaghetti and meatballs. 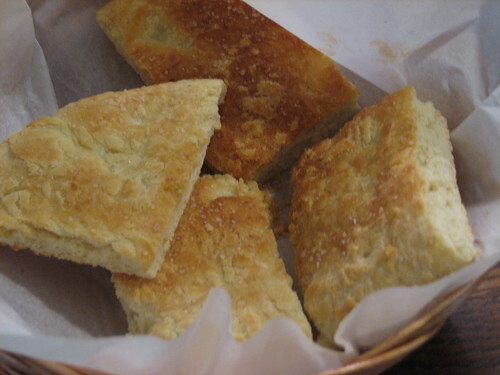 Focaccia is delicious dipped in olive oil that has freshly grated black pepper in it. Yum! 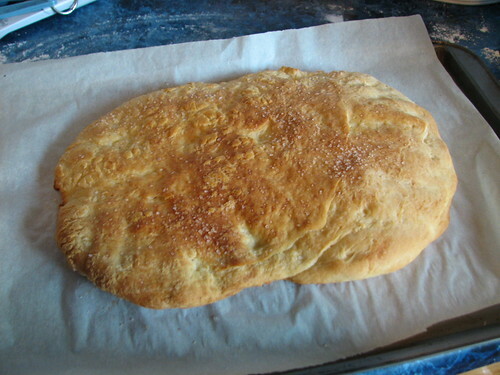 This entry was written by ~~Rhonda, posted on August 26, 2008 at 11:31 am, filed under Recipes and tagged recipe focaccia bread. Bookmark the permalink. Follow any comments here with the RSS feed for this post. Post a comment or leave a trackback: Trackback URL.